*A30 / A30HP / A40HP: What makes them different? Best Value on the Market! REED's A Series Concrete Pumps offer the perfect combination of horsepower, concrete pressure, pumping power and reliability - all at a veryreasonable price! 74 (Tier 4) or 82hp (Tier 3) Perkins Diesel Engine. This best-in-class horsepower gives A Series Pumps the ability to handle a wide variety of pumping applications: commercial slabs and decks, shotcrete, tunnel and mine support, casting concrete for tunnels, residential concrete flatwork (patios, sidewalks, foundations and footings), big rock concrete civil projects, even vertical concrete pumping for multiple story buildings). 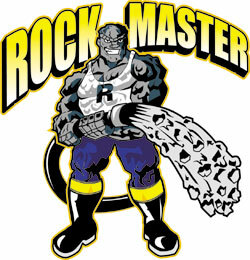 The Rockmaster is capable of doing the same job as pumps that cost almost twice as much! Concrete Pressure. Rockmaster pumps offer either 903 psi concrete pressure (A30 & A30HP models) or 1172 psi (A40HP model) for pushing concrete further and faster than competitors in the same class. Chromed concrete cylinders. Chromed cylinders deliver longer service life than standard steel cylinders. Cost Effectiveness. The Rockmaster requires less maintenance and fewer wear parts than a ball valve pump. Its low cost of ownership makes it an excellent investment option if you're considering purchasing your first concrete pump. No other concrete pump has the power, versatility, ease of use, and cost-effectiveness that REED's Rockmaster A Series Pumps deliver! Call us at 909-287-2100 or e-mail mike.newcomb@reedmfg.com for more information.